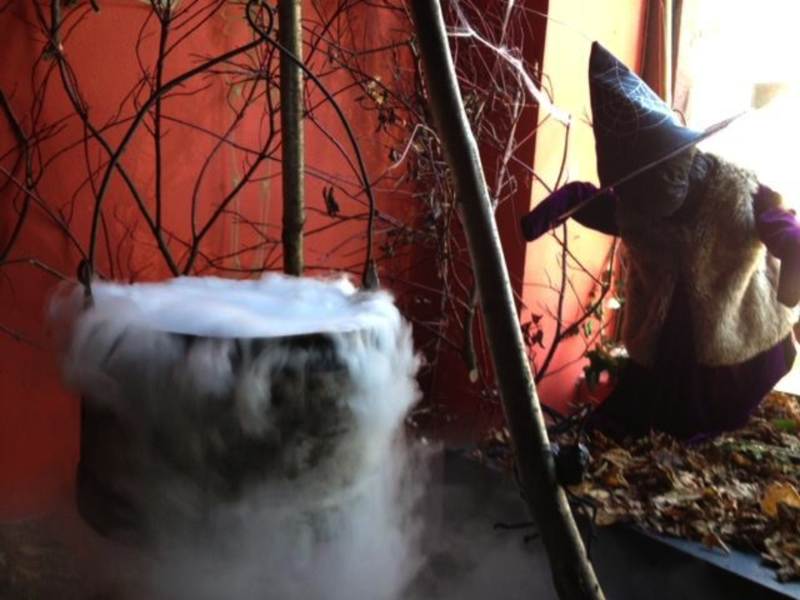 Create a variety of eerie and atmospheric special effects using Halloween dry ice fog. Use a container that looks like a cauldron and is suitable for holding hot water. Fill two thirds of the container with hot water. 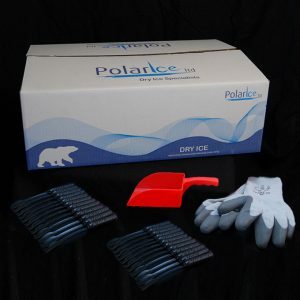 When ready to create the fog effect, gradually add small pieces of dry ice to the container, dry ice pellets work best. When the water cools, replace it with hot water or reheat the water if possible. Note: A ‘soup kettle’ commonly found in restaurants and bars has a thermostat that will keep the water hot. Using this as a container means that all you have to do is add pieces of dry ice to maintain the effect. 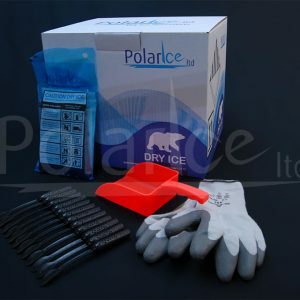 To create a 15-minute period of fog put 2.3 to 4.5 kgs of Dry Ice into 15 to 30 litres of hot water. To create a more subtle atmospheric fog, use the smaller suggested amount of dry ice. The fog will flow down toward the ground and in the direction of any air movement. Use a small fan to help control the direction of the fog. Reheat or replace the water once the fog effect ceases and add more dry ice to your container. Create a coloured fog by adding LED lights under the fog. 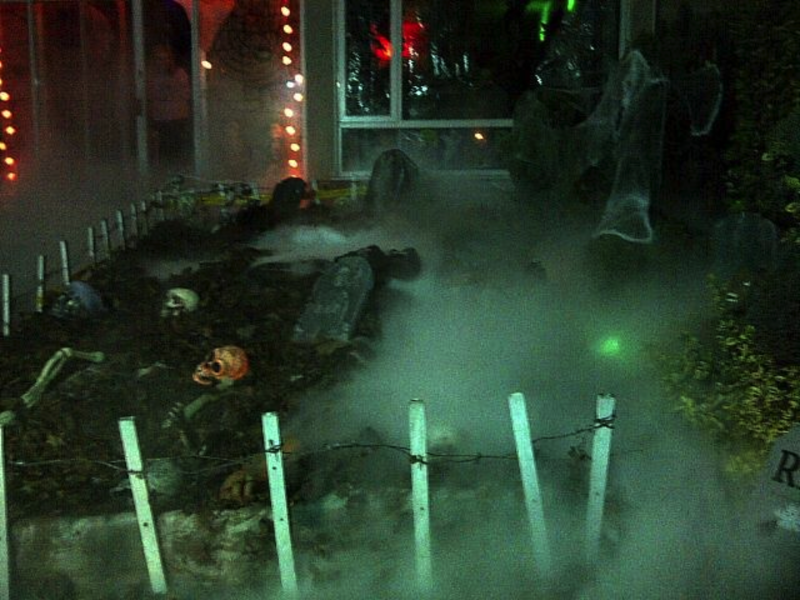 Right: A picture sent in from one of our most enthusiastic Halloween customers – their entire front garden converted into a spooky graveyard, complete with dry ice fog! 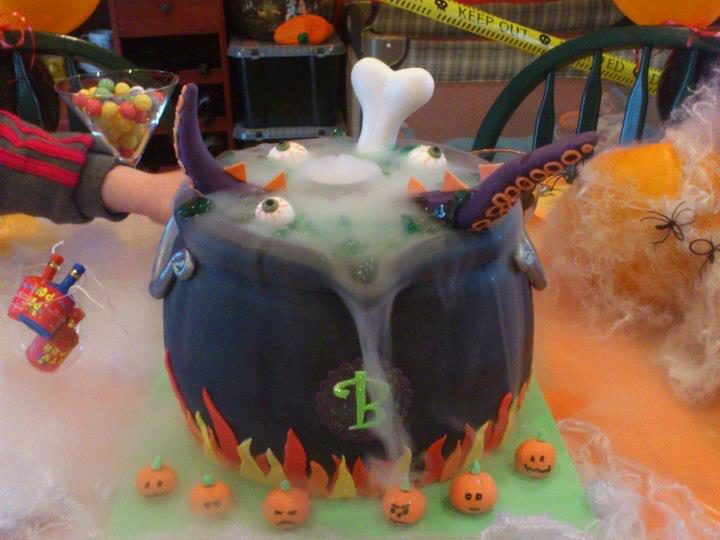 To create the ultimate Halloween Cake, just add dry ice fog effect. Add some hot water (1/4 cup) – the water will splash so don’t over fill the container. Many thanks to Jenny’s Cupcakes for the photo of her masterpiece. Place a small container of heated water inside your carved pumpkin. Add a few dry ice pellets into the container. The fog will flow out of the face of the pumpkin. Use a torch to add a light inside your pumpkin, as the dry ice fog will extinguish any candle flame.